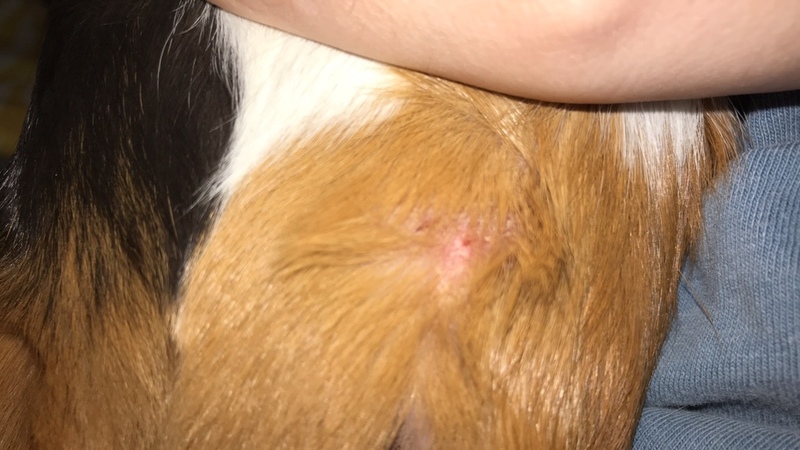 I need help I just noticed a scabby patch on my pigs belly. I don’t know what it is or what it could be!! He wiggles so this is the best pictures i got. Actually, it wouldn't hurt to treat for both, as they often co-exist. So i just apply cream twice a day to the spot using a qtip? Yep. Apply it sparingly, and rub it in well. If it doesn't start to clear up in a week or so, we'll switch to an antibiotic cream. It's hard to tell by looking whether an area like that is a fungal or a bacterial problem. But antibiotics can make a fungus worse, whereas an antifungal won't do anything to a bacterial lesion. So we start by assuming it's a fungus, and if that doesn't work, then change gears and apply an antibiotic. Are you also treating him for mites? That looks like a scratching pattern to me. I put some on there but i’m scared he’s gonna nip at it will it kill him if he does!!? no i’m not treating for mites he does seem to be scratching like crazy. any changes i will. [QUOTE=linsdunnaway;1007897]no i’m not treating for mites he does seem to be scratching like crazy. any changes i will. If he's scratching, treat him for mites. They're the most likely cause of that problem on his stomach. The cream will do nothing for mites. Apply it sparingly, and rub it in well. How is he going to "nip" it if you do that? And we don't recommend treatments that will kill pigs. OMG!! i Meant he DOES NOT seem to be scratching like crazy!!! I’m sorry no he’s not scratching but any further changes i will treat for mites! If it is mites is there a link for chewable ivermectin? I see Pet-trust plus but i don’t know if that’s it. my pig weighs about 2.4lbs. You don't give ivermectin as a chewable tablet. In fact, you don't give any kind of chewable tablet to a guinea pig. I gave you a link for what to buy and how to treat for mites. Did you read it? Oh yes i see it!! Thank you so muchhhh!!! honestly!! Okay so i got the stuff if it works how do i get rid of the scabby part? You don't. 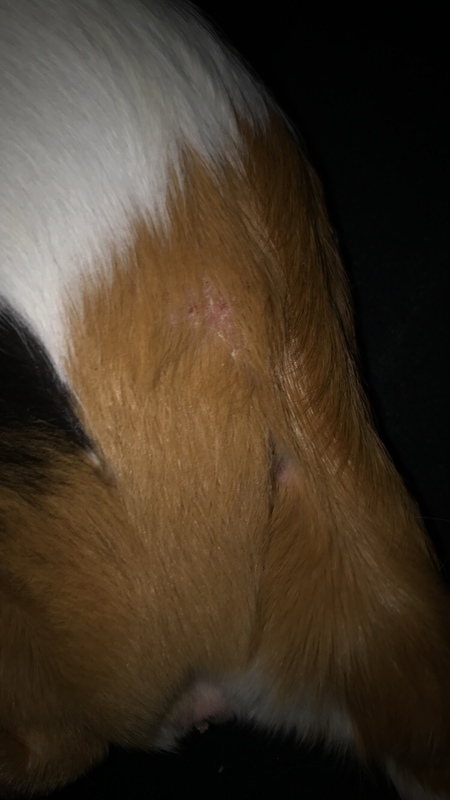 Scabs come off naturally when the skin underneath has healed. Just apply the medicine(s) as directed, and the scabs will eventually come off. They're there to protect the open wound underneath. last question he’s picking at the red scab/bump even after i applied the pour on is that okay or? The pour-on ivermectin? You were supposed to put it behind his ears. Yes i did put it behind his ears. It takes a few days for ivermectin to work. Be sure to do three applications, each a week apart, so you'll hit all the life cycle of the mites.